Are your teeth crooked or misaligned? This is just one of the many reasons to visit Kapadia Orthodontics in Oviedo. Orthodontics is a special branch of dentistry that diagnoses and prevents certain types of dental problems and facial irregularities. Some of these issues include malocclusions (otherwise known as bad bites), misaligned jaws, or crooked teeth. Consult with our orthodontist, Dr. Ajay Kapadia, at Kapadia Orthodontics to learn more about what treatment is best for you and your teeth. Scheduling an appointment to meet with Dr. Kapadia is the first step in this process. You’ll have a chance to view the practice, meet the doctor and team, and ask any questions you may have. At this complimentary visit, Dr. Kapadia will evaluate you or your child’s orthodontic needs and determine if the patient is ready to begin treatment. Different treatment options and the approximate fee for treatment will also be reviewed. After the initial consultation, all the information that is needed in diagnosis and treatment planning is collected. This includes photos, x-rays, and impressions of the teeth. Dr. Kapadia will then review all of the information to make a custom plan for your treatment. This plan will be presented in detail during the treatment conference, and you will be able to ask any questions you may have at that time as well. This is one of the most exciting visits! The placement of braces usually takes about an hour. Instructions for taking care of your braces and a take home kit will be given afterward. We’ll also review the do’s and don’ts of taking care of your braces and go over the foods you can and cannot eat as well. 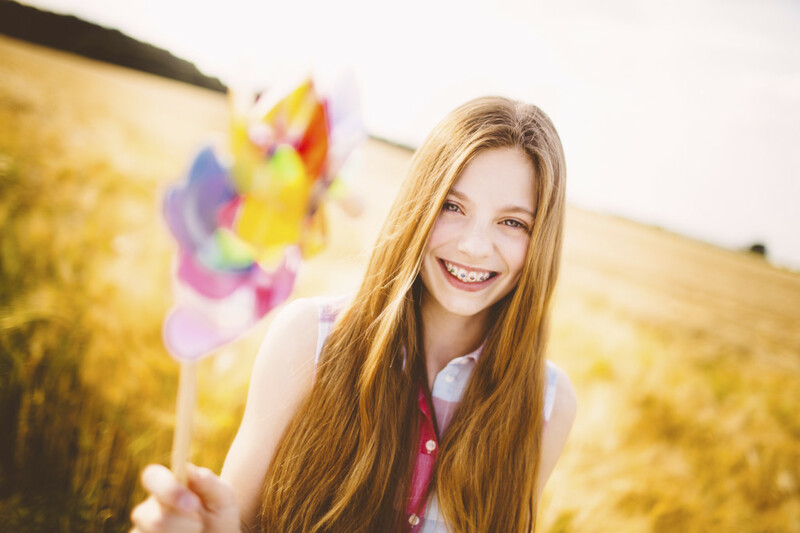 Once you have your braces, you will be seen for adjustments every 4-6 weeks. The adjustment time usually takes about a half-hour and isn’t very invasive. When the time comes to take the braces off, Dr. Kapadia, will explain the entire process and remove the braces in the least invasive way possible. Retainers will be made to make sure your teeth stay in their new position. What type of braces is a good choice? When receiving braces, there are many options to choose from including traditional braces, clear braces, or Invisalign. Browse our website to learn more about the different options available. After your consultation, you’ll learn about the best option for you! Schedule an appointment with an orthodontist in Oviedo and get one step closer to getting the smile of your dreams!